PowerGenius automatically manages how solar power is used throughout your home, helping you maximise the return on your investment in solar. PowerGenius increases the utilisation of the solar power you generate, reducing your dependence on mains power throughout the day. PowerGenius connects to your home electric and solar network easily through hardware fitted by one of our qualified installers. 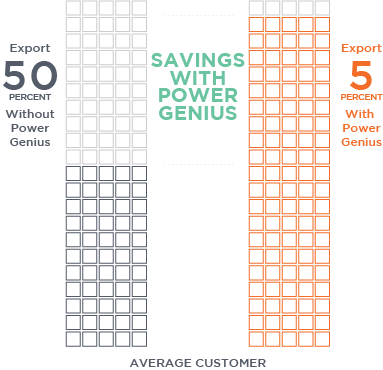 You can rest easy knowing PowerGenius is saving you money, and saving the planet.